It’s our favorite time of year – the holiday season! The weather is starting to get colder and everyone is starting to prepare for the winter ahead! To accommodate the rush of the holiday season, we have extended the hours at our store on Plum Street in Burkettsville, Ohio. We are now open on Saturday mornings from 8 a.m. until noon! At Werling & Sons, we know that everyone has a busy schedule, and we decided these extra hours would be a great way to give you a better chance to shop at your leisure. With the winter season and the busy holidays right around the corner, we know that preparing meals in the month of December can be stressful. So why not prepare this month instead? Our canned meats will last well into the holiday season, giving you quick and convenient meal options and freeing you up to spend your valuable holiday time with family. We have a wide variety of meats that will “meat” your needs. 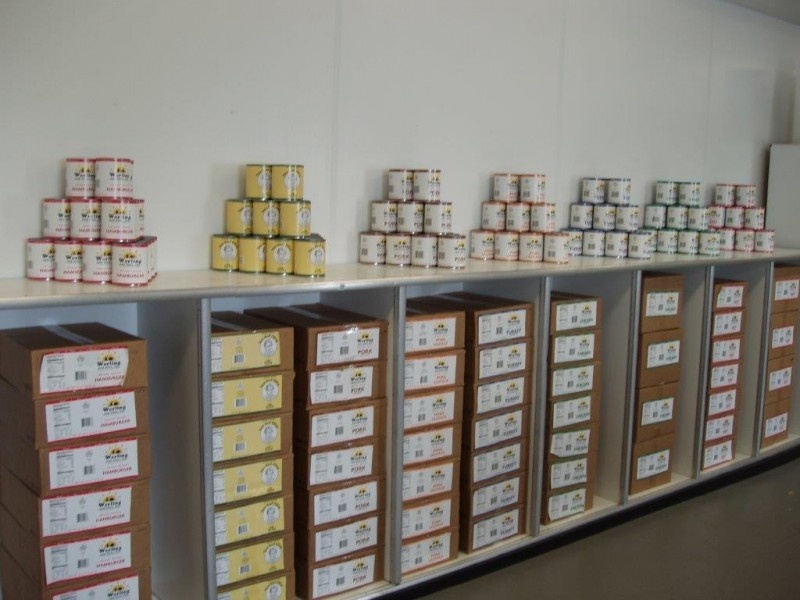 We have canned beef, chicken, turkey, hamburger meat, pork, pork sausage filling and taco beef filling, plus Grandma Werling’s Seasoned Pork and Grandma Werling’s Canned Goetta which make delicious, quick meals. Purchasing one of our packs will have your family well prepared for the stressful holiday and winter season. With these cans, there’s no need to make a run to the store when the weather outside is frightful. Instead, you can just open a can and make a tasty dinner the whole family can enjoy. Stop in and see us in Burkettsville, Ohio and take advantage of our Saturday promotions all November long to stock up on your favorites for the season ahead. Do you have any questions about any of our products? Give call us today at 888-375-1998.